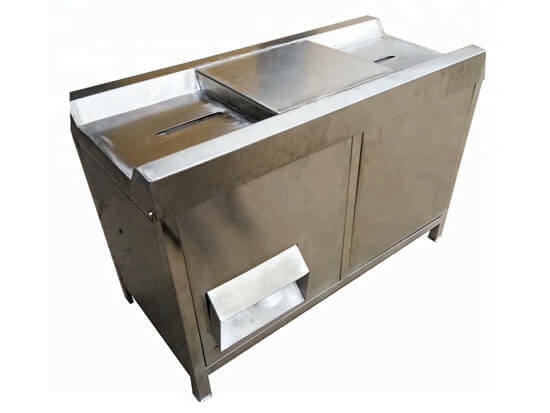 Gizzard peeling machine is used to peel the skin of poultry gizzard, such as chicken gizzard, duck gizzard. 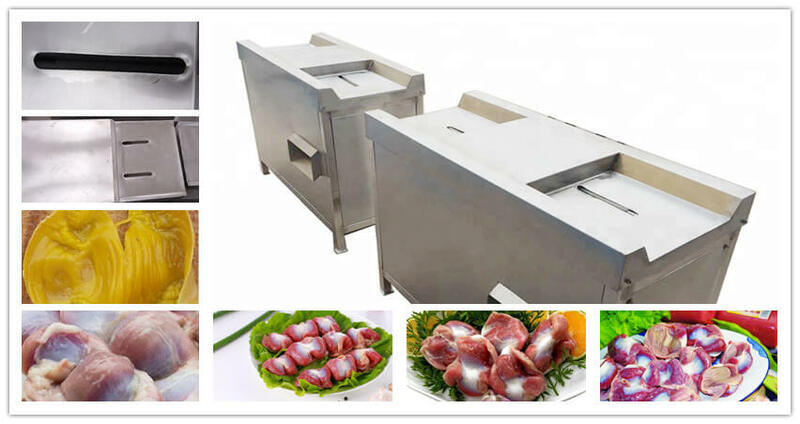 It is to drive the spiral strip through the motor, to realize the spiral strip turn off, so as to achieve the effect of peeling the poultry gizzard. It is ideal equipment for meat processing factory. How to Choose Poultry Gizzard? The fresh gizzards appearance was purple or red, the surface is elastic and shiny, thick texture. The stale gizzards appearance was black red, the surface without elasticity and luster, soft and succulent, please don't buy. How to Store The Poultry Gizzard? 1. Generally, the fresh poultry gizzards are not suitable for long time storage after you buy, you'd better eat them up in 2 days. 2. If you need to store the gizzards for a long time, there are some suggestions you can have a try: First, wash and peel the gizzards cleanly. Second, put them in the pot with water and boil to nearly cooked. Then get them out and use cold water cooler, empty the water. The last step is to wrap into a small package with plastic bags, put them in the refrigerator for cryopreservation, when eating, only put out for the natural thaw.